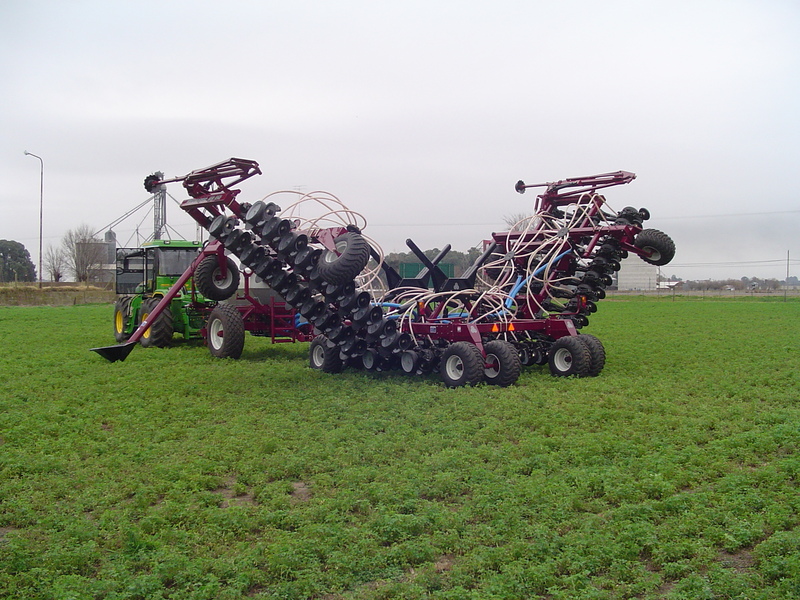 Seeders Model: No Till Air Drill SN 12000 40 ft.
Opcional lines spacing adjustment: 7.5”inch min. 190 mm. 13” inch max. 330 mm. Distance from front row to back row: 1230 mm. Clearance for transport / Soil: 320 mm. 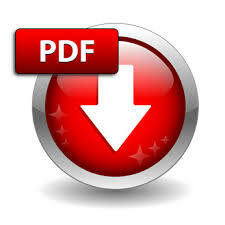 Disc angle: 7º angle incline. Weight of each row unit: 92 kgrs. 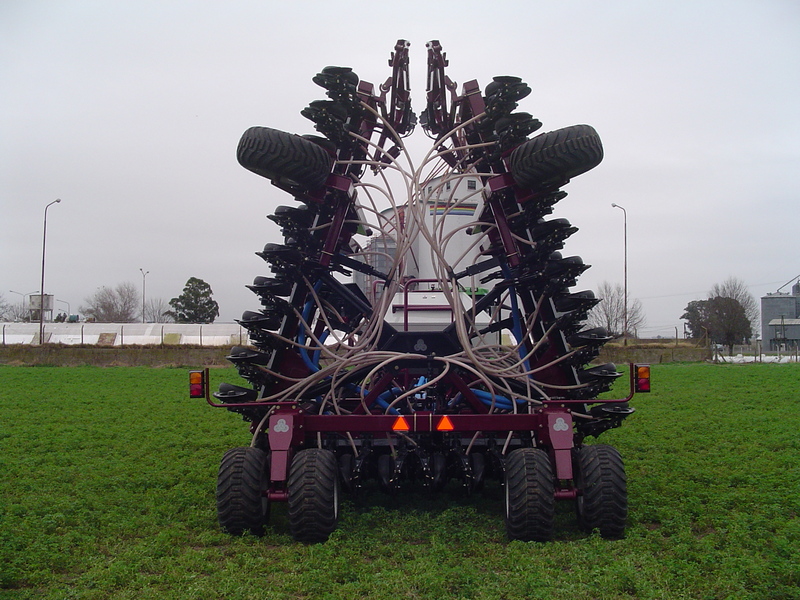 Seed boot type (double tube): Seed and fertiliser. Rubber seed press wheel: 10” x 1”. Rubber depht control limiter: 4.5” x 15” Open clear. Sowing depth range: 5 mm. to 100 mm. Presure of closing wheel settings: 12 kgrs. to 42 kgrs. 5 position. Optional wheel closing adjustment: Double. 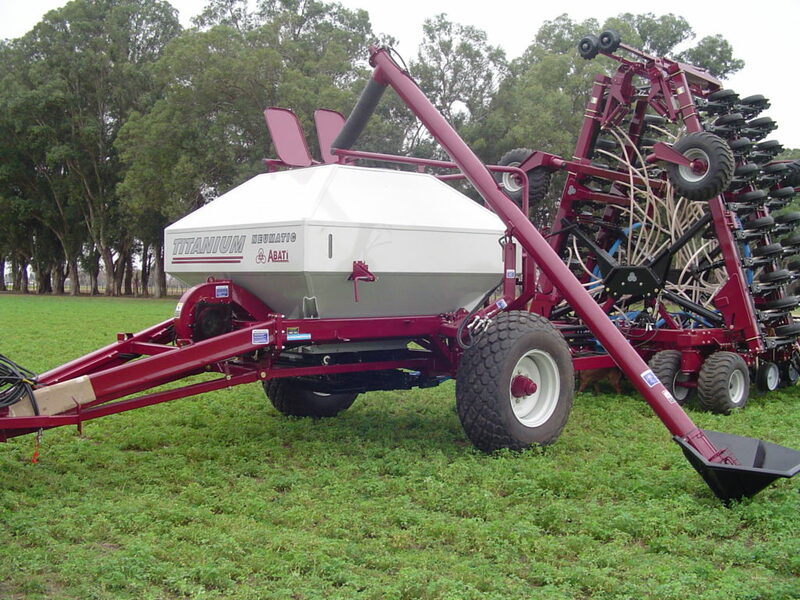 Down presure of active hydraulic unit: 60 kgrs. to 250 kgrs. per row units. 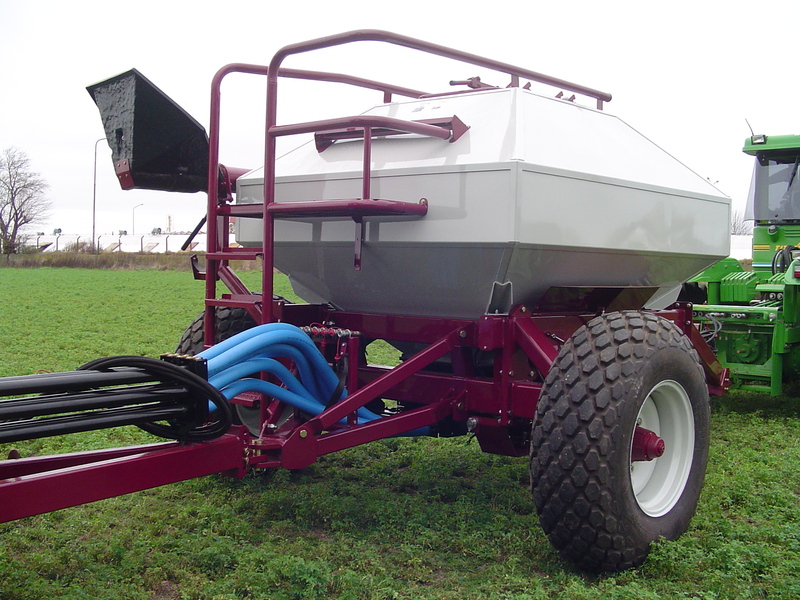 Tractor power requirement (4 hp. 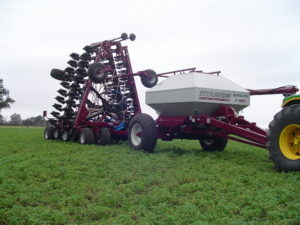 per row unit): 210 HP. 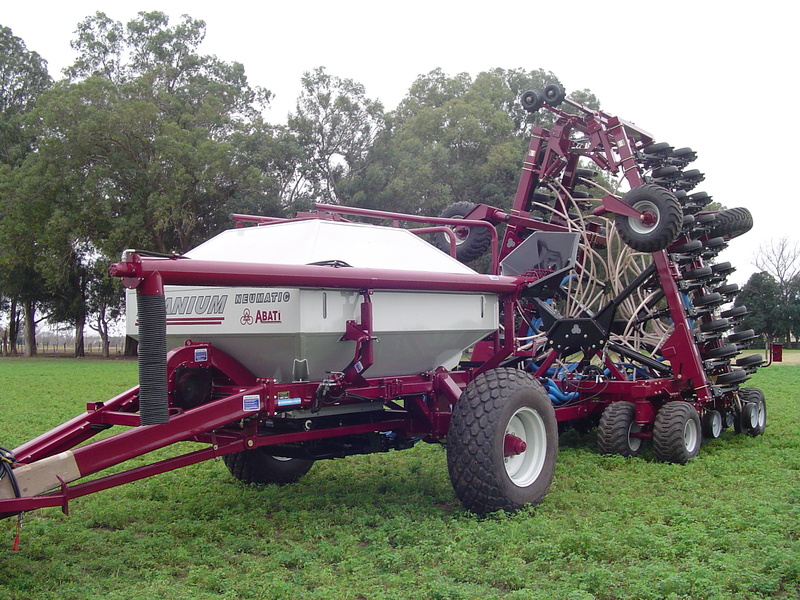 Abati has been dealing with the Australian farming market for six years and has delivered more than 50 No Till seeding machines and continues to strive alongside the Australian farmers. 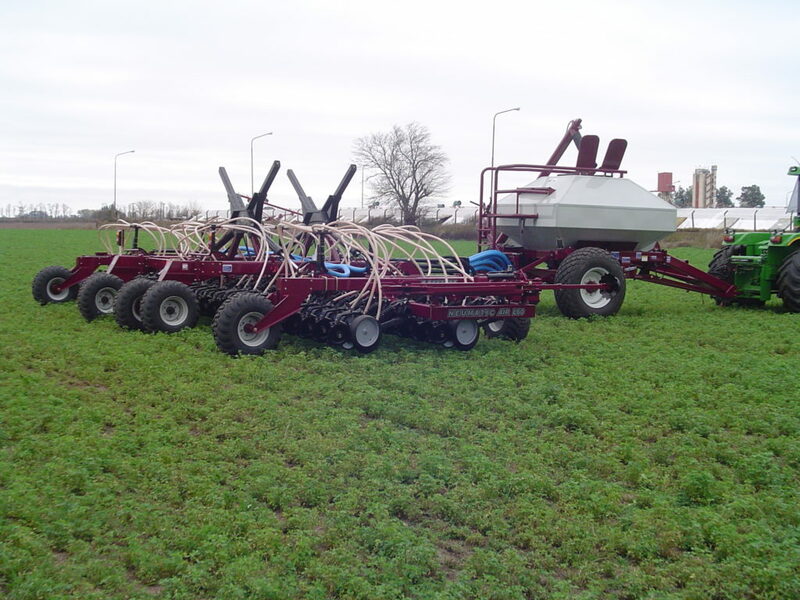 Abati Titanium, the Pioneers of No Till seeding system in South America for 25 years. 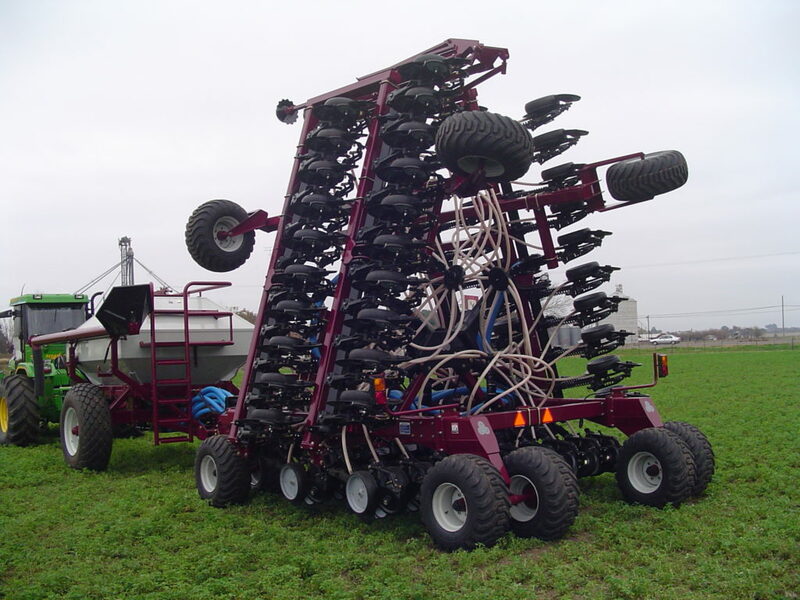 Row Unit: Single disc with a beleved edge at an angle of 7º, seed boot type, rubber seed press wheel10” x 1, rubber depth control limiter 4.5” x 15” open clear and 120mm depth being adjustable in 8 positions. 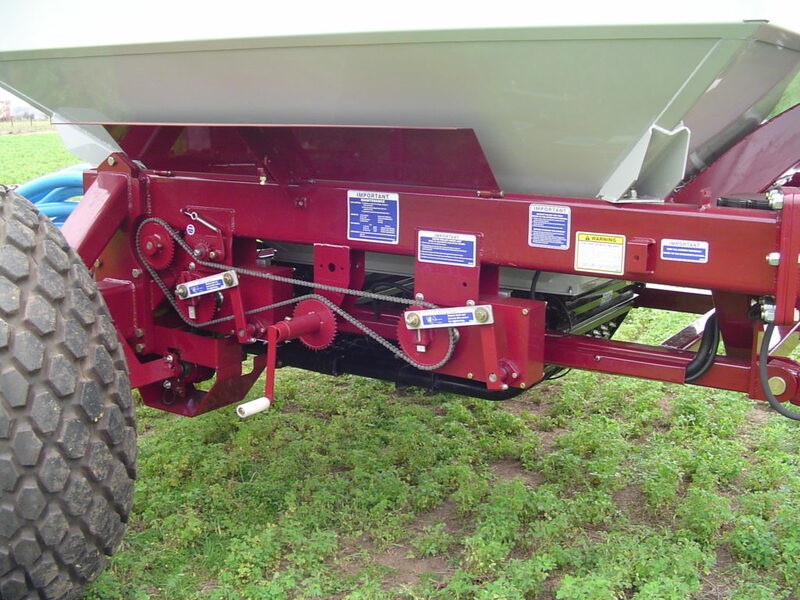 Set of simple or double (optional) wheel closing adjustment, downward pressure of 26 to85 lb in the closing of row through 5 positionses.